We all commit mistake in some cases, especially when working in a big industry. But the scenario gets change when some people are different and helpful in such a huge industry. Similar scenario get happen in California, where in California a man returned two piles of cash that accompanied his take-out order from Domino’s. Presently, the company is reimbursing him with a year of free pizza. 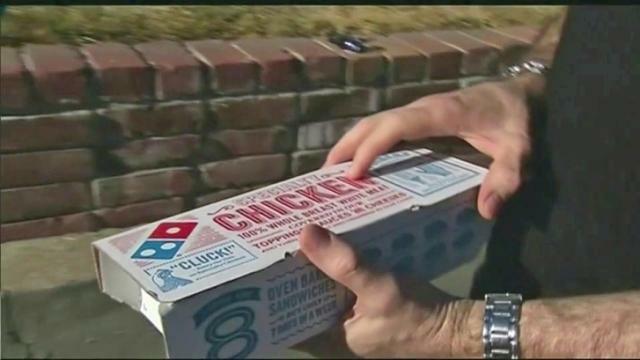 A Domino’s driver in Berkeley, CA, left two stacks of cash totaling $1,300 out a chicken wings box he had planned to deliver to the bank. Unfortunately, the case was mistakenly given to a customer. The client, Mike Vegas, took his order of pizza and wings inside to snack on. After around a slice, he was full and chose to stow his food away for some other time. While work that night, Vegas notice that his phone was ringing nonstop but he didnâ€™t responded to any of the calls because he was working. When he returned to his home he opened his fridge to eat something but he get reward with something else, he got $1300 in cash. Lastly he took a picture and posted it on the Facebook by commenting â€œWhen you order Dominoes Pizza and instead of wings you get cash..â€. After some time he returned the money to the Dominoâ€™s store. As he returned the money, the store manager gave Vegas free Pizza for a year.